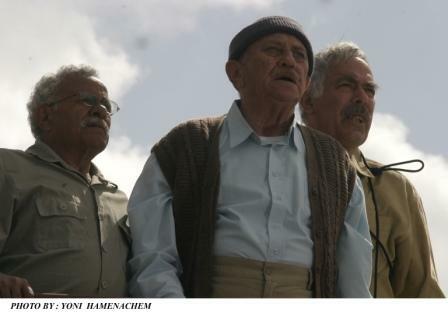 An old kibbutz isolated in the Hills of Galilee finds itself immersed in deep debt, threatened by lawsuits from bankers and creditors and declared as bankrupt. On the same evening, prior to the arrival of the bailiffs, the great exodus begins . Men, women and children abandon their homes. The sun rises over an abandoned and desolate kibbutz. 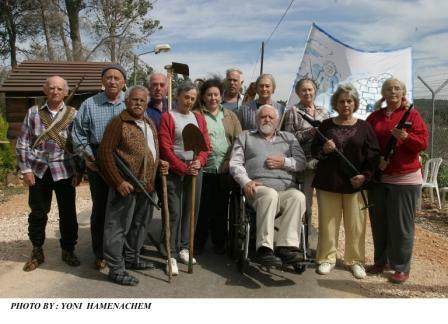 Twelve senior citizens awake in the kibbutz old-people’s home to discover they have been forgotten and abandoned. All belong to the group which initially founded the kibbutz, their children having long since moved away, and there is no-one to take care of them. 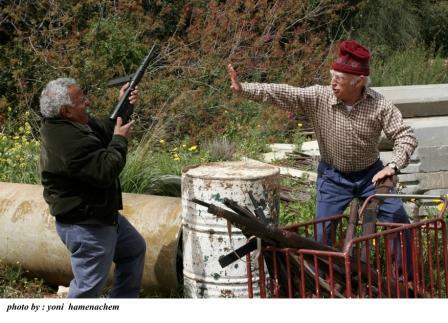 The bank closes a deal with a contractor who arrives at the kibbutz and is surprised to discover the old-timers left behind. At the same time the group comes to the realization that they have been left behind. In the beginning they sink into deep depression, though gradually they begin to discover a deep well of physical and emotional resources that they were previously unaware of. By utilizing their basic social instincts they begin to organize an effective communal unit. They begin to rebuild the kibbutz. In the meantime, while struggling to avoid the final evacuation, the group leads a most hectic social life. 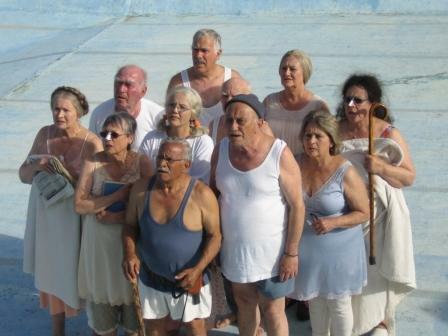 "The Galilee Eskimoes" is a movie about the power that people reveal when abandoned and betrayed by society and by their relatives, who leave them to their fate.